No, I did not quit if you checked out my animals I just took all the rares off most of them, and have them all be simple because of something that happened last night that I don't feel like posting quite yet. Also, I changed my main animal from my horse to my new tiger. More information about this is on a post on my personal blog. I hope you like my tiger. :) I will for sure keep this one. Last notification, I'm going to be doing a featured blog thing everyday. It will appear after my picture signature. If you have a blog and you would like it to be possibly posted, comment with the url and I'll check it out. I know how it feels good to get more views on a blog, and I just got very lucky getting all these views in a short time, so I'm going to shout out to other blogs. I can't upload pictures today, blogger just has the loading sign forever, any advice? Today's featured blog: Click here to visit DoomyPanda's Animal Jam Stream! cool! im gonna check out the blog :D and i like your tiger a lot! That's what happens when I try to upload a picture! Hai, Goldfishypuppy! I would like to have my blog featured on your epic one. 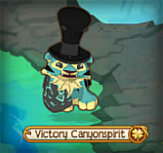 ^.^ My blog is called: AnimalJam EagleEye! Anyways, that is so sad that you can't upload pictures, I haven't checked it I can yet! I hope you can put up one of my 3 blogs, your choice! So yeah! Bye bye Goldy! Wow i jusr stumbled upon is blog, and it rocks!!!!!!!!! I will try and comment often. Please comment and check my blog which is animalsofanimaljam.blogspot.com i post everyday! It'd be good if you added the Cornify button to your blog. I also like your tiger.